Save $300 when you test-drive! Visit your local Sunshine dealer, drive and save $300* on a new Mid- or Full-Size XUV Crossover. Low rate financing up to 84 months! Learn how to save $300 when you test-drive! ¹Offer valid on qualifying purchases made thru 31 March 2019. 2017 Models only for Gator XUV590i. Receive $2,200 bonus off list price of $15,399. Attachments, taxes, applicable fees, and delivery charges could increase final selling price. Available at participating U.S. dealers. Prices and models may vary by dealer and are in U.S. dollars. ²Offer valid on qualifying purchases made between 01 March 2019 to 30 April 2019. Subject to approved installment credit with John Deere Financial, for consumer use only. 20% down payment required. $95 monthly payment based on MSRP of $8399.00 with $1679.80 down payment or trade-in, 84 months at 4.9% APR. Attachments, taxes, freight, setup and delivery charges could increase monthly payment. Available at participating U.S. dealers. Prices and models may vary by dealer. Offers available on new John Deere Gator Utility Vehicles and in the U.S. only. Prices and savings in U.S. dollars. Offer valid on qualifying purchases made between 01 March 2019 to 30 April 2019. Subject to approved installment credit with John Deere Financial, for consumer use only. 20% down payment required. $117 monthly payment based on MSRP $10,399.00 with $2079.80 down payment or trade-in, 84 months at 4.9% APR. Attachments, taxes, freight, setup and delivery charges could increase monthly payment. Available at participating U.S. dealers. Prices and models may vary by dealer. 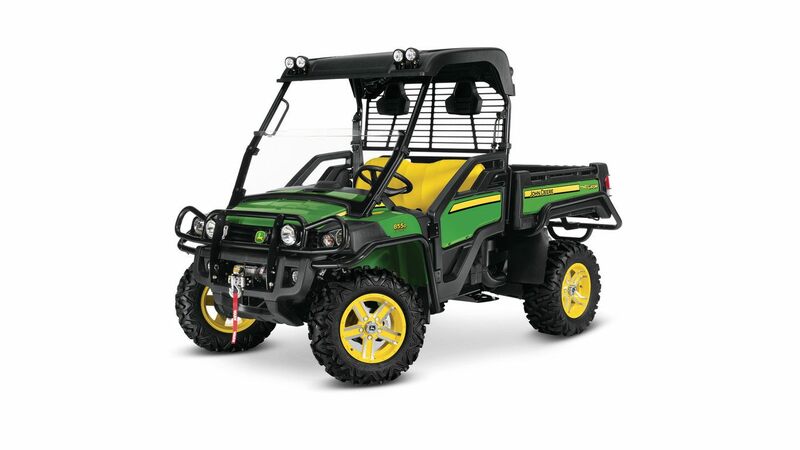 Offers available on new John Deere Gator Utility Vehicles and in the U.S. only. Prices and savings in U.S. dollars. ³Offer valid on qualifying purchases made between 01 March 2019 to 30 April 2019. This offer is for XUV, HPX, and RSX only. Subject to approved credit on a Revolving Plan account, a service of John Deere Financial, f.s.b. For consumer use only. No down payment required. Introductory rate of 0% APR is for 36 months only, regular Revolving Plan rates will apply after that. Available at participating U.S. dealers. Prices and models may vary by dealer. Offers available on new John Deere Gator Utility Vehicles and in the U.S. only. Prices and savings in U.S. dollars. Offer valid on qualifying purchases made between 01 March 2019 to 30 April 2019. This offer is for XUV, HPX, and RSX only. Subject to approved installment credit with John Deere Financial, for consumer and ag use only. A down payment of up to 10% may be required. $27.78 per month for every $1,000 financed. 0% APR for 36 months only. Taxes, freight, setup and delivery charges could increase monthly payment. Available at participating U.S. dealers. Prices and models may vary by dealer. Offers available on new equipment and in the U.S. only. Prices and savings in U.S. dollars. Offer valid on qualifying purchases made between 01 March 2019 to 30 April 2019. Subject to approved credit on a Revolving Plan account, a service of John Deere Financial, f.s.b. For consumer use only. No down payment required. Introductory rate of 2.9% APR is for 60 months only, regular Revolving Plan rates will apply after that. Available at participating U.S. dealers. Prices and models may vary by dealer. 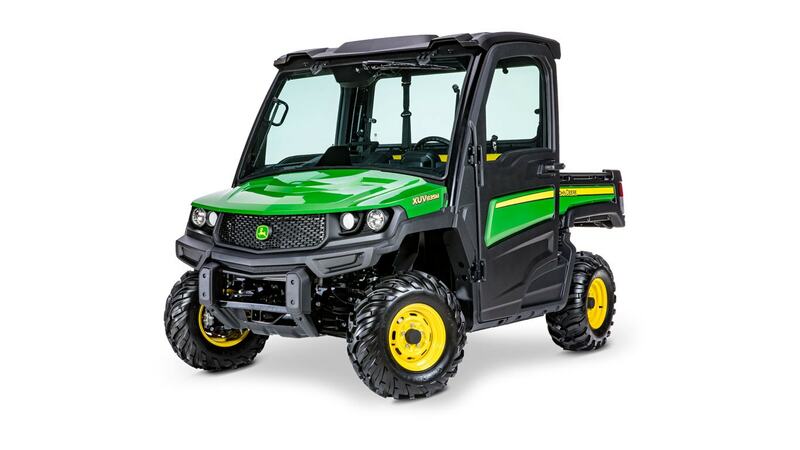 Offers available on new John Deere Gator Utility Vehicles and in the U.S. only. Prices and savings in U.S. dollars. Offer valid on qualifying purchases made between 01 March 2019 to 30 April 2019. Subject to approved installment credit with John Deere Financial, for consumer and ag use only. A down payment of up to 10% may be required. $17.92 per month for every $1,000 financed. 2.9% APR for 60 months only. Taxes, freight, setup and delivery charges could increase monthly payment. Available at participating U.S. dealers. Prices and models may vary by dealer. Offers available on new equipment and in the U.S. only. Prices and savings in U.S. dollars. Offer valid on qualifying purchases made between 01 March 2019 to 30 April 2019. This offer excludes TX Turf Gators™ and ProGators. Subject to approved installment credit with John Deere Financial, for consumer and ag use only. A down payment of up to 10% may be required. $14.09 per month for every $1,000 financed. 4.90% APR for 84 months only. Taxes, freight, setup and delivery charges could increase monthly payment. Available at participating U.S. dealers. Prices and models may vary by dealer. Offers available on new equipment and in the U.S. only. Prices and savings in U.S. dollars. Offer valid on qualifying purchases made between 01 March 2019 to 30 April 2019. This offer excludes TX Turf Gators™ and ProGators. Subject to approved credit on a Revolving Plan account, a service of John Deere Financial, f.s.b. For consumer use only. No down payment required. Introductory rate of 4.9% APR is for 84 months only, regular Revolving Plan rates will apply after that. Available at participating U.S. dealers. Prices and models may vary by dealer. 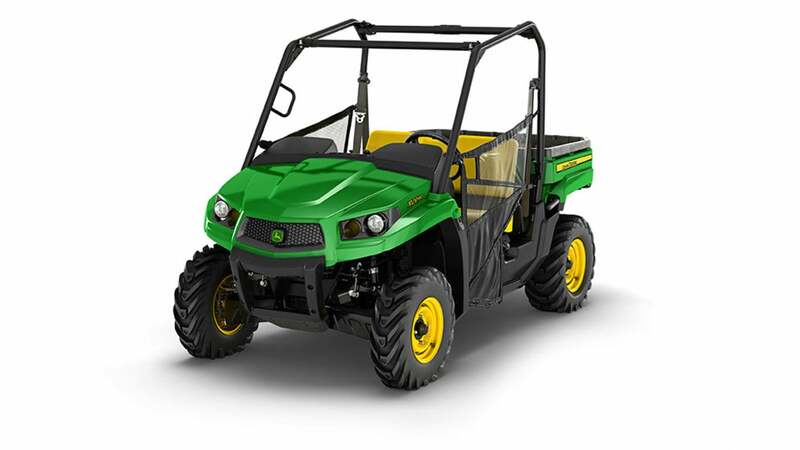 Offers available on new John Deere Gator Utility Vehicles and in the U.S. only. Prices and savings in U.S. dollars. Offer valid on qualifying purchases made between 01 March 2019 to 30 April 2019. This offer excludes TX Turf Gators™ and ProGators. Subject to approved credit on a Revolving Plan account, a service of John Deere Financial, f.s.b. For consumer use only. No down payment required. Interest will be charged to your account from the purchase date at 17.9% APR if the purchase balance is not paid in full within 12 months or if your account is otherwise in default. Available at participating U.S. dealers. Prices and models may vary by dealer. Offers available on new equipment and in the U.S. only. Prices and savings in U.S. dollars. Offer available on qualifying purchases made between 27 October 2018 and 30 April 2019. Savings based on the purchase of eligible equipment. Offer available on the purchase of any new XUV560 and XUV560E with a minimum 24 month PowerGard purchase in the U.S. only. Prices and savings in U.S. dollars. Some restrictions apply, see your participating dealer for details.